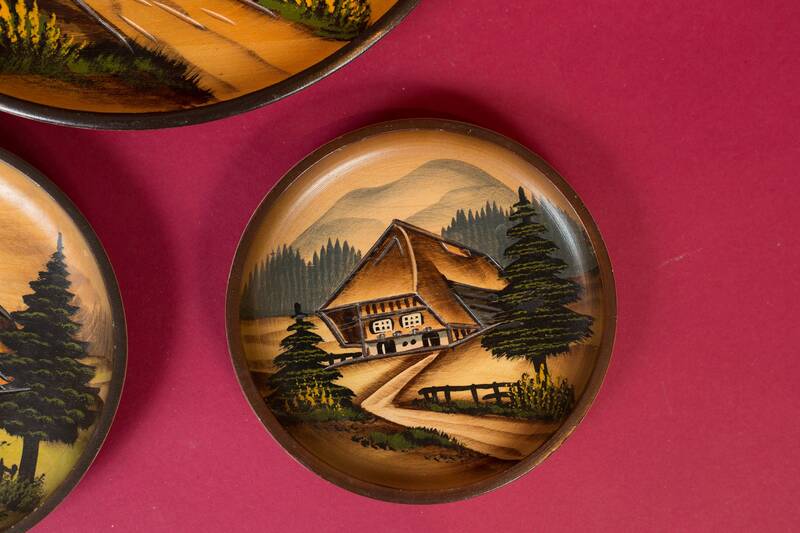 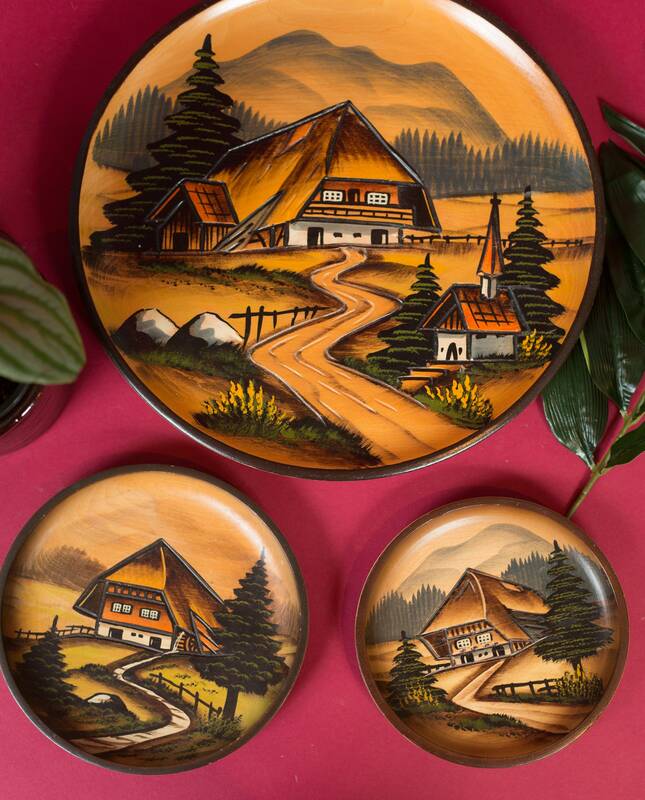 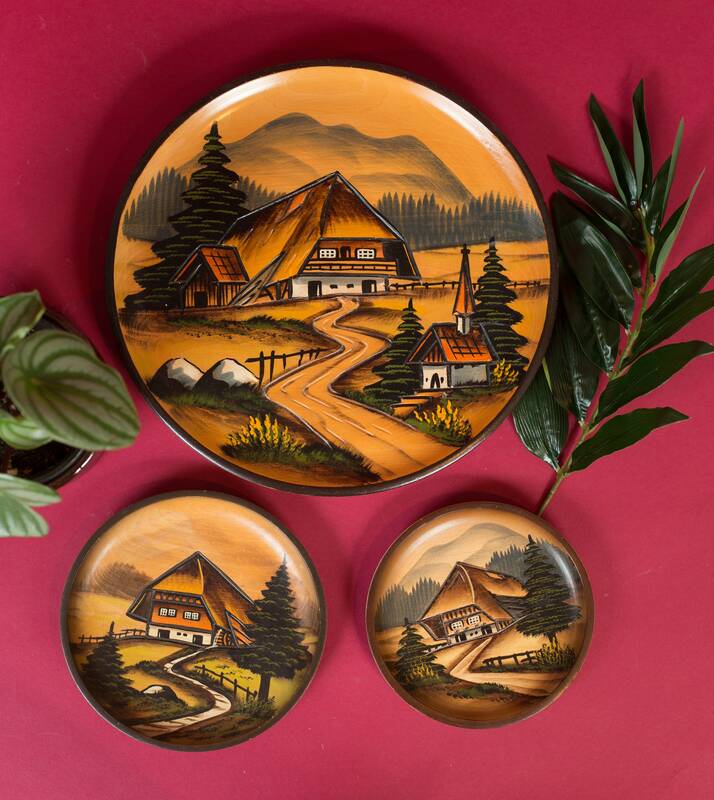 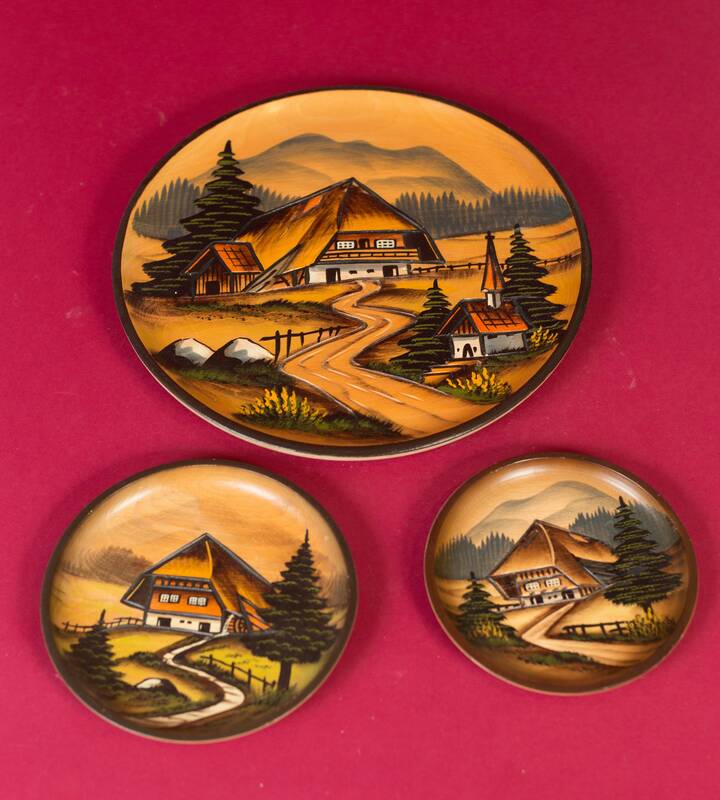 This is a fantastic set of 3 vintage decorative wood wall plates with beautiful hand carved and painted country scenes. 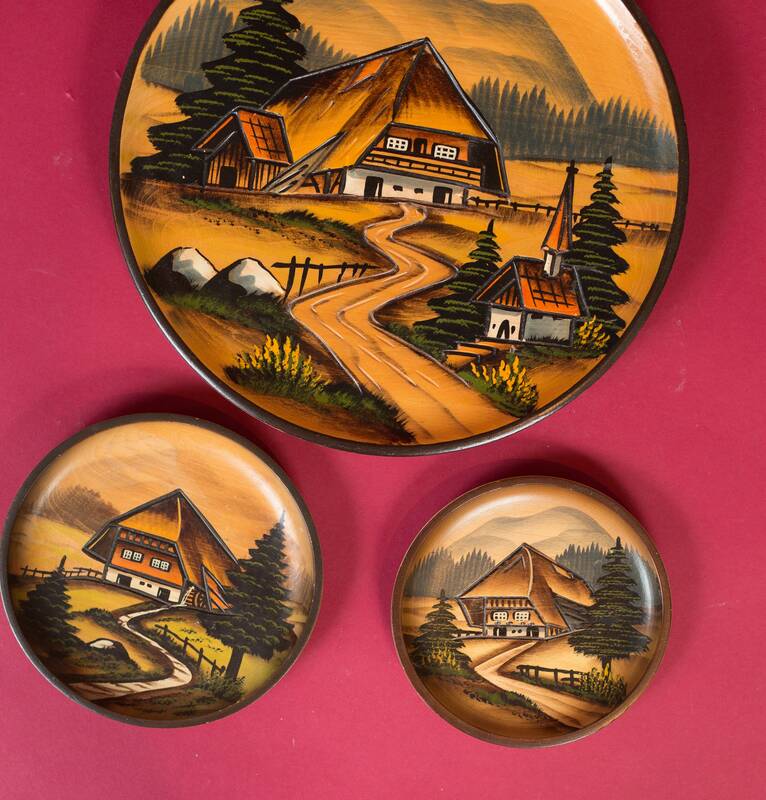 I believe they are Danish or Scandinavian. 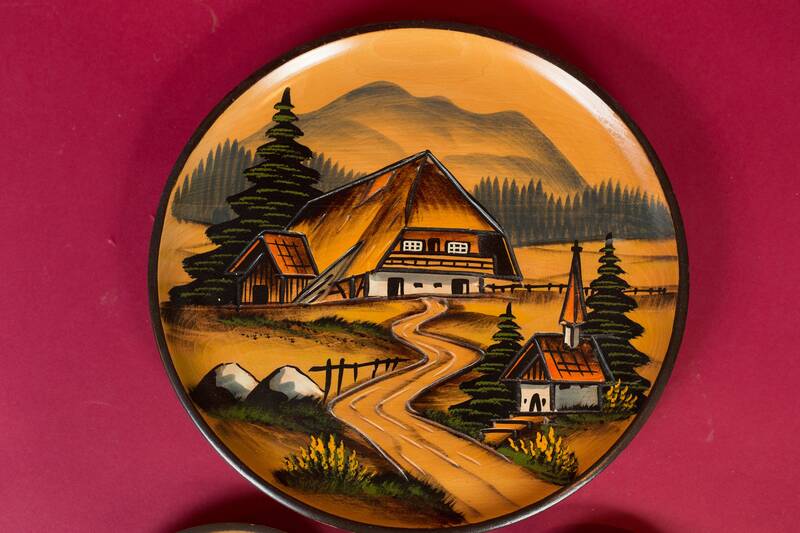 Large plate: 10.5 inches diameter. 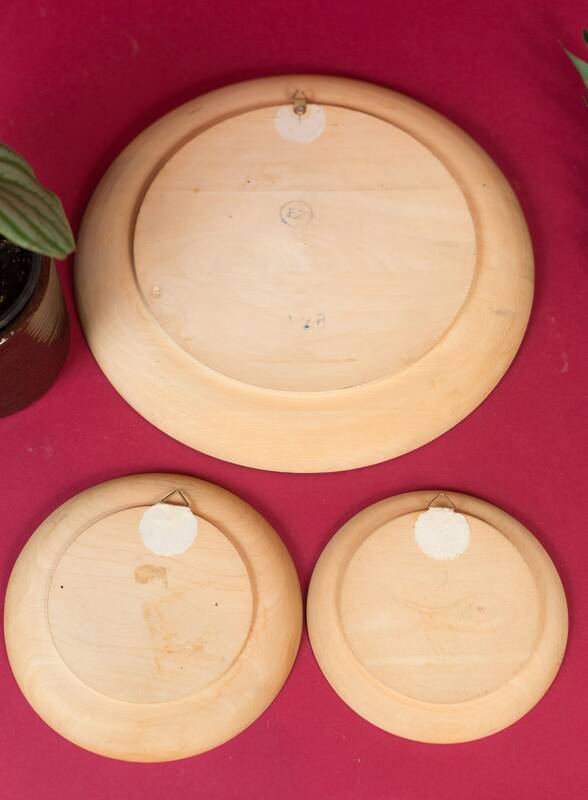 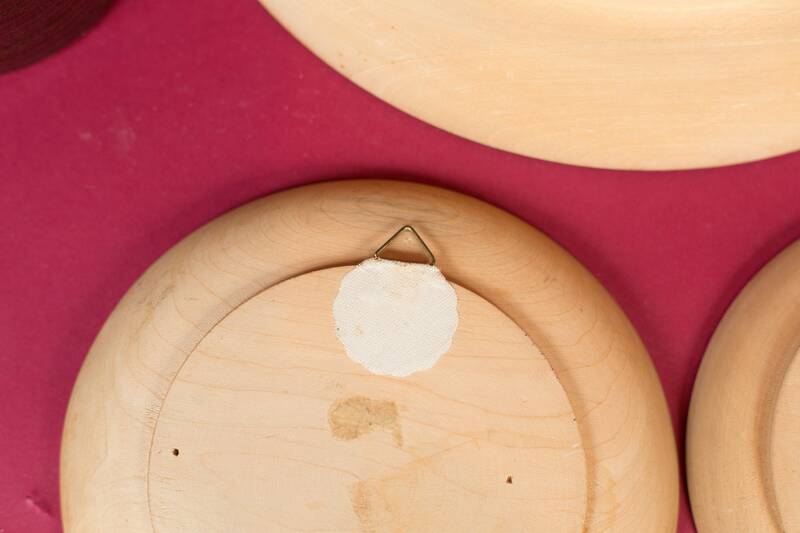 Medium plate: 6.5 inches diameter. 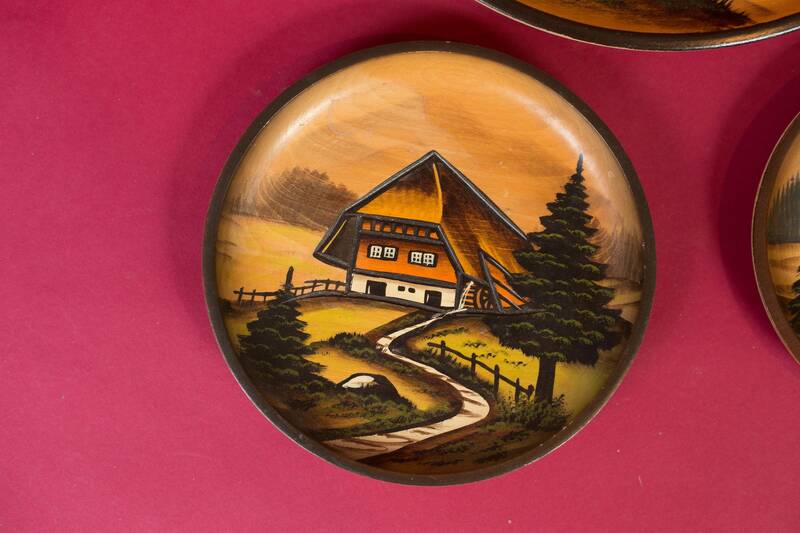 Small plate: 5.5 inches diameter.